Hi here’s a bit about me, I have over ten years experience of working within the security industry and 5 years experience of being a security trainer. 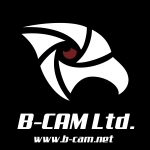 I am qualified in and have worked across many sectors within the security industry including Close protection/Door supervision/Security guarding/event security/sports ground response security and many more. I feel the experience I have accrued from working in varying sectors helps me greatly whilst delivering any type of security or physical intervention training to delegates. As well as still working within the industry on the front line I also run my own Security company (Marc-one security). So I have the knowledge and understanding from a company perspective as well, of what companies are looking for in newly trained Security professionals. In my personal life I am a keen martial arts practicioner having studied various arts over the years from Aikido and Jeet Kune Do, to more modern MMA adopted styles like western boxing, BJJ and Muay Thai. Hi there, My back ground has given me 20 years experience in conflict management and dealing with challenging behaviour. I have worked on and off for approximately 8 years in the security industry and the last 2 years for Marc–One Security. Whilst I have worked as a door supervisor for much of that time, I also have experience as a security guard and with cash collection. I have also worked in other challenging environments such as mental health homes, community settings and as an enforcement officer / repossessor for 6 years. I have been designing and teaching courses in the health industry for the last few years as well as teaching within the security industry. Over the years I have studied many forms of martial arts such as Kick Boxing, Western Boxing, Kung Fu, Karate and still regularly train in Jujitsu. I also am a regular at my local gym where I do strength training and power lifting. Marc-One Security staff have extensive experience of security and its related fields. So much so in fact, Kent operations manager Damion Redwood and Sussex operations manager Alan Sidders formed Marc–One Training as a sister company to Marc–One Security and now offer a range of accredited SIA and security related training courses. Marc–One Training IS NOT just another training company, and our instructors don’t just ‘talk the talk’.. They all have real world experience and understanding of the jobs and fields in which they teach, which in turn allows students to receive a much better and more realistic level of training. (you may have heard about the recent mass recall of students made to re-sit courses delivered by a popular cheap training provider due to poor training standards…) Don’t let this happen to you! 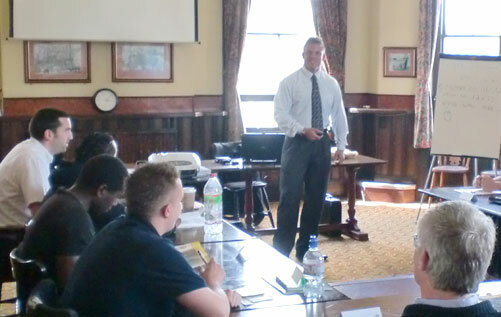 We hold regular courses for members of the public that want to get the necessary training and qualifications allowing them to work within the security industry. Please Be Aware! If you’re qualified as a Door Supervisor then you can also work as a Security Operative. To work within the security industry as a Security Operative you need to obtain a level 2 Award in Security Guarding. We provide the necessary course for you to obtain this qualification and it’s run over a three day period. To work within the security industry as a Door Supervisor you need to obtain a level 2 Award in Door Supervision and a certificate in physical intervention. We provide the necessary course for you to obtain this qualification and it’s run over a four day period. Will I get a job with Marc-one afterwards? We can never promise work for anybody, simply because we don’t have a crystal ball and don’t know whether we will be recruiting at the time you receive your license, however it is very common for us to recruit from the people that stand out on the courses we run. For us as a company and you it is a win win situation, as we get to train you to the high standard that we expect and want at Marc–one Security which in turn makes it much more likely that we would recruit you over people that have been trained elsewhere. Remember to keep an eye on our recruitment page for on-going employment opportunities. 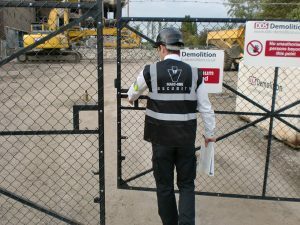 This Licence qualifies someone to work as both a Door Supervisor and as a Security Guard and covers the basic tasks, objectives and legal responsibilities. With a Door Supervisors SIA Licence you can work in many areas of the Security Industry from Security Guarding through to Event Security and other licensed premises so you would be increasing your opportunities for extra employment. The role of a Door Supervisor is extremely demanding so it is vital that you receive the best quality Door Supervisor Training available before you begin your new career. Once you successfully complete this course you will be able to apply for a Door Supervisor SIA Licence. It is a legal requirement that you have a valid SIA licence before you start working in the private security industry in the UK. We understand that examinations can be daunting but don’t worry. Everything you need to know for the examination is covered during the course and your expert instructor will fully prepare you for success in the tests. Our pass rates are some of the highest in the business thanks to the highly experienced instructors and the quality of the training content. Under the Security Industry Act 2001 anyone working as a Door Supervisor in licensed premises must be licensed by the Security Industry Authority. To qualify for a licence as a door supervisor you must have a recognised qualification and this qualification satisfies the legal requirement. The fines for working as a Door Supervisor without an SIA licence are up to £5,000 and/or up to six months in prison. Under the Private Security Industry Authority Act 2001, all individuals wishing to work in the private security industry must undertake a recognised qualification before applying for a licence. Ongoing practical assessment throughout the course by the tutor and 10 true or false questions marked by the course tutor. View Forthcoming Training Courses Now! (Note, this link will take you to the external Aegis Skills course finder in a new window or tab). If you have any questions or queries regarding training, please contact us. We strongly recommend to all our customers who are considering the Security Guard Training course that they consider the Door Supervisor Training Course instead. 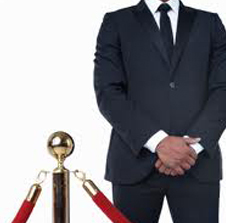 Qualified Door Supervisors can legally work in all of the same roles as Security Guards. In addition, they can also work in licensed premises such as bars, clubs, events and festivals which Security Guards may not be able to work in if alcohol is being served. A Door Supervisor qualification will enable candidates to perform a far wider variety of roles and will greatly increase their chances of finding employment. We know that examinations can be stressful for some candidates but don’t worry. Your experienced instructor will teach you everything you need to know for the examination during the course so you’ll feel confident and well prepared when it’s time to sit the exams. Under the Private Security Industry Authority Act 2001, all individuals wishing to work in the private security industry must undertake a recognised qualification before applying for a licence. This course is a mandatory requirement for all Door Supervisors. If your Door Supervisor qualification was obtained prior to October 2010 you will need this 1 day top up training to renew your SIA Licence. The Security Industry Authority has made mandatory recommendations that Physical Intervention training will become compulsory for all Door Supervisor staff in the UK. Anyone working in the industry as door staff that will be renewing their license from March this year will need to take this additional module in order to obtain their new SIA Licence. 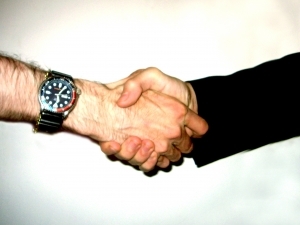 The Physical Intervention module is an SIA approved course which instructs candidates in non-harm escorting techniques applied to manage difficult situations without causing injury to themselves or members of the general public. This new module is intended to provide candidates with a wider range of non-violent options for dealing with the most common scenarios involving physical contact in licensed premises. It does not offer a technique to cover every possible situation but provides a solid foundation in terms of knowledge and skills to further reduce risk to the customers and staff. This course is designed for those working in the roles where the need for further development in line with Conflict Management training is required. The skills are designed to be non pain compliant and not reliant on size, strength or gender. It is now mandatory for new Door Supervisors, and will be mandatory for those with existing licenses and as a condition of renewal, it is also recommended for Security Guards, Stewards, and those employed within the Security Industry. 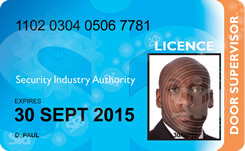 HABC are the awarding body for the certificate and this will be accepted by the SIA when you licence requires renewal. The course covers all aspects relating to workplace violence leading to use of force and Physical Intervention skills. LO1. Understand physical interventions and the legal and professional implications of their use. LO2. Understand how to reduce the risk of harm when physical intervention skills are used. LO3. Be able to use non-pain related physical skills to protect yourself and others from assault. LO4. Be able to use non-pain related standing holding and escorting techniques, including non-restrictive and restrictive skills. LO2. Know the role of a door supervisor when first aid situations occur in licensed premises. Our Conflict Management course is designed to boost confidence & raise awareness of the possible risks relating to work place aggression and violence. We Learn the different ways in which communication skills including body language, tonality and the spoken word can affect peoples behaviour towards us. We also analyse the tell tale signs of frustration – that may lead to violence if handled badly. We then introduce some scenarios, accompanied with positive ways to resolve dilemmas implementing skills taught during the course. We encourage the entire group to participate to feel the personal benefits from attending the course. The course has proved very popular with School teachers, social workers, public sector, community support staff, and retail staff. All who have needed a confidence boost after receiving numerous day to day abuse and personal threats, whilst trying to carry out their daily duty, including teaching children. The benefits of this course include the raising of awareness, confidence and team building, the assessing of personal risks in the work place, and positive safe steps to reduce conflict in the workplace. What is special about AEGIS Physical Intervention Skills? For all these reasons, AEGIS training programmes are the preferred choice of training for Door Supervisors and Security Guards, as well as, Healthcare and Education professionals! AEGIS Training results in better customer service and solid protection against injuries, complaints, litigation and prosecution. It also enables tighter control over staff conduct. AEGIS Trainers are able to train employees to perform role responsibilities within the most stringent ethical and legal protocols. For example, the Code of Conduct set for teachers on the ‘Use of Force to control Pupils’ (DfEE Circular 10/98) and the ‘Proportionate Force’ requirements of the Human Rights legislation. This means employers can set very clear expectations of their staff and legitimately expect the very highest standards of behaviour. Aegis also works as a tier system in physical intervention, with parts 1 -2 -3. This allows participants/organisations to progress to a higher standard/qualification in physical intervention meaning that you can rest assure that you or your staff have had the best training in the field. 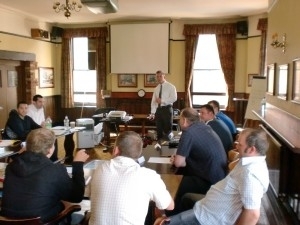 Our Conflict management courses can be run as a stand alone course or part of a combination course, if you feel yourself or your organisation could benefit from conflict management training and or physical intervention training Please contact either Damion Redwood (Essex Region) Or Alan Sidders (Sussex Region). All organisations must ensure by law that they have a sufficient number of employees who possess a first aid qualification in order to fulfill their first aid needs at all times. Employers must ensure that their provision is ‘adequate and appropriate in the circumstances’. It is the employer’s responsibility to decide what the requirements of the organisation are by assessing any specific work hazards and ensuring that sufficient equipment, facilities and personnel are available to deal with the consequences of these hazards. First Aid is the immediate assistance given to someone injured or suddenly taken ill suddenly before the arrival of an ambulance, doctor or other appropriately qualified person. The person offering this help to a casualty must act calmly and with confidence, and above all must be willing to offer assistance whenever the need arises. First Aid is a skill based on knowledge, training and experience and a First Aider is someone who has completed a theoretical and practical course and passed a professionally supervised examination. This course covers the skills required by a First Aider in the modern workplace and will equip you with the knowledge to deal with First aid emergencies. Course duration is 1 day and contains realistic scenario based exercises. Continuous assessment is used to evaluate the candidates and there is no final practical assessment. Employers have an obligation under the Health and Safety (First Aid) Regulations 1981 and Approved Code of Practice (ACOP L74) to make adequate and appropriate First Aid provision for their workforce. 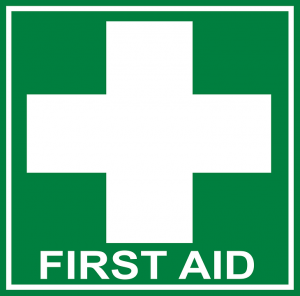 It is recommended that someone is able to undertake First Aid duties at all times when people are at work. This course fully complies with Health & Safety (First Aid) Regulations 1981 and the Approved Code of Practice (ACOP) L74 guidelines for the qualification of workplace First Aiders. A First Aid at Work (FAW) qualification will make a positive contribution to the safety of your workplace. After qualifying in First Aid at Work (FAW) you’ll have the essential skills to handle any First Aid situation, from minor slips and trips to the most serious of incidents. Course duration is 3 days with realistic scenario based exercises. After successful completion of the course and a final practical assessment, students will be awarded the First Aid at Work Certificate which is valid for 3 years. If you have any questions or queries regarding this training, or would like to know when our next course is being held, please contact us.